To help our client extend their home, we built and installed this orangery. The windows are white Kommerling frames, and black foiled cills. 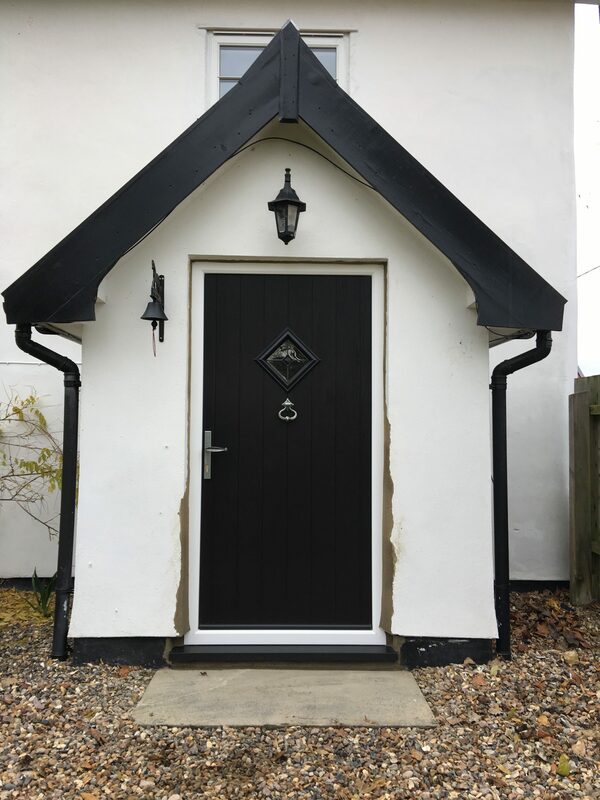 The doors are Black Aluk Aluminium 4000mm 5 pane bi-folding doors, and the whole thing was finished off with a timber warm roof, and fibre glass topping with a Atlas Roof lantern. Choices aluminium bi-folding doors provide a versatile solution for conservatories, orangeries and extensions. 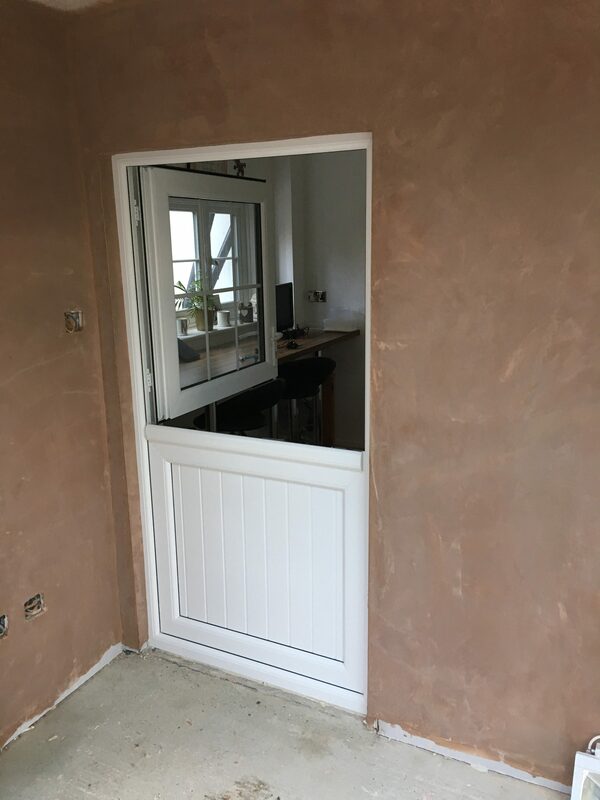 These doors are strong, stable and provide superb resistance to any impact. As well as providing outstanding thermal performance, there is a wide range of customisable options. There is a wide range of colours to choose from, as well as a wide range of hardware. 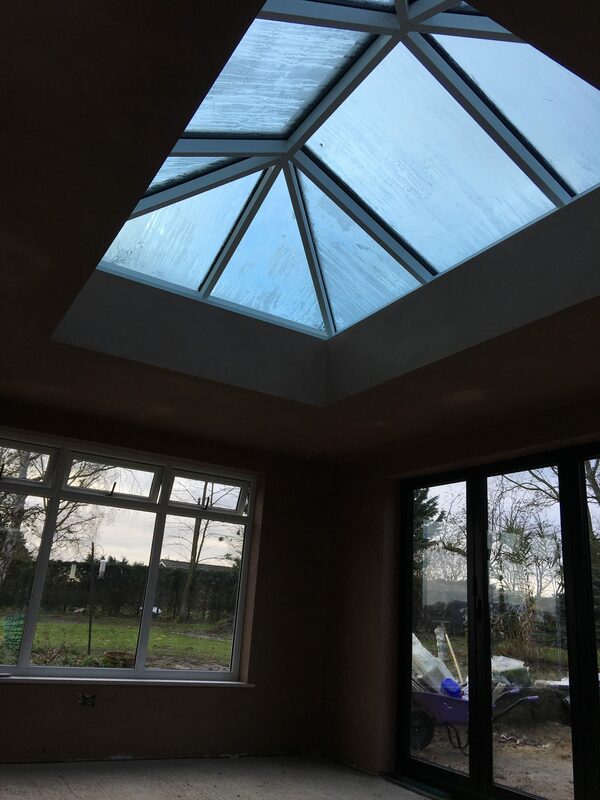 Atlas roof lanterns offer exceptional benefits unmatched by any other roof on the market. 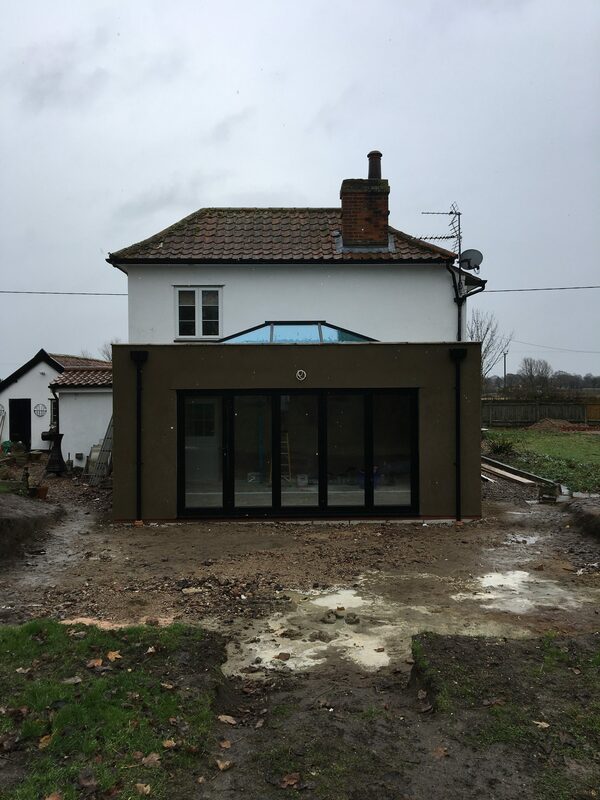 The internal and external design compliments any home whilst flooding any room with maximum light. 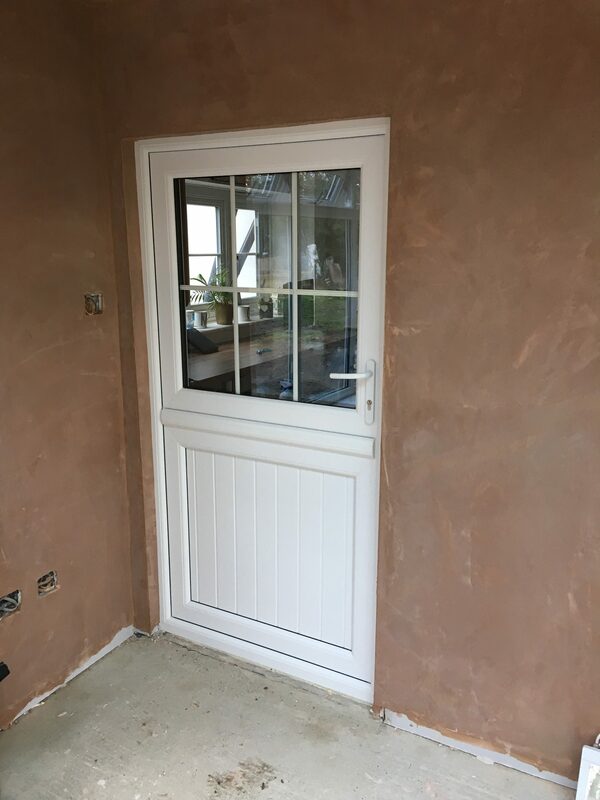 This customer also requested the installation of a Kommerling stable door, and a Solidor Flint front door. For more information about the range of products we order, get in touch with us today.